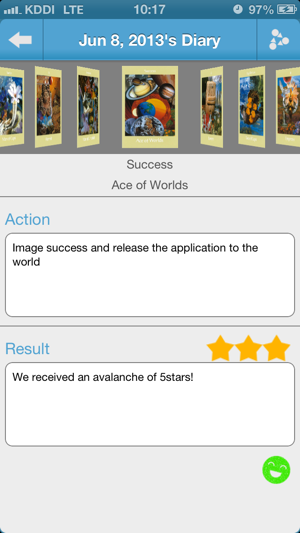 The Voyager Action Diary application is one of the best tool to "get along" with Voyager Tarot. 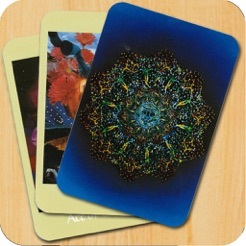 Voyager Tarot cards give you that little push you need to motivate your day-to-day action. 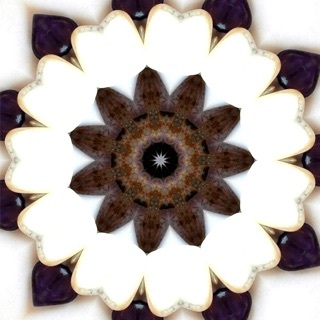 Choose your action according to the card reading and try your best to fulfill it. The most important thing is to stick with it and act. put yourself on an highway to fulfill all your dreams! Draw a card everyday, go with your hunch and note down what your action should be. Look back at what you've done at the end of the day and write down your feelings about it. You can sum it up with a very simple 3 star rating system! 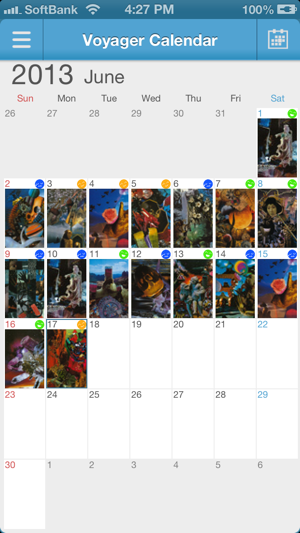 Tap on a card from within the calendar to see it full screen! 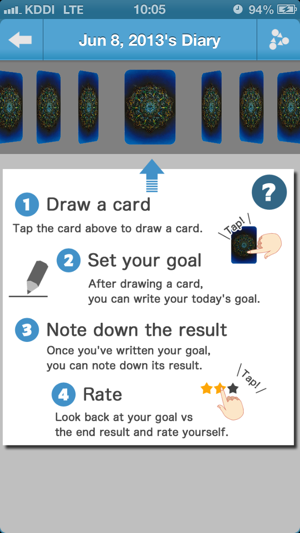 How many times did you draw a particular card? How many times did you put yourself a 3 star rating? 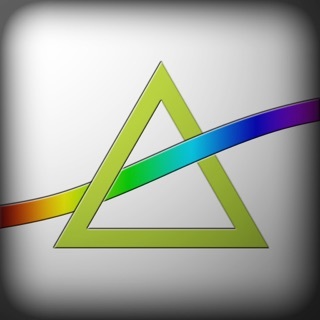 Analyze everything with thorough statistics available at your fingertips! Twitter,Facebook, email your friends for more insights! 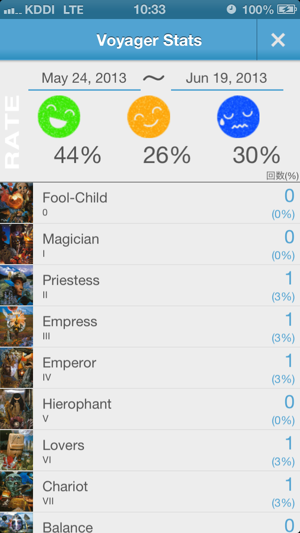 Get a thorough description of the card via the "Detail View" Pro Feature available from the in-app store! Voyager Tarot differs a bit from the traditional Tarot. discover themselves,find a way to develop themselves. while instructing psychology and dived into the world of Tarot. That's why he decided to create a brand new Tarot system. universe and had the artist, Ken Knutson, put together each cards and create a real piece of art for each of them. 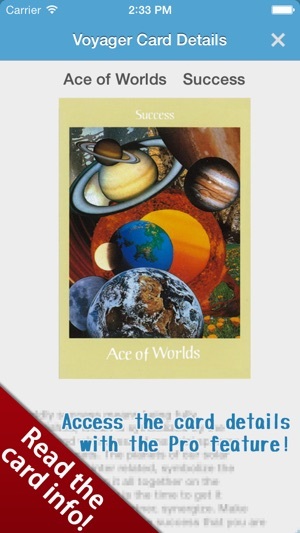 That's how, in 1985, the wonderful and mysterious world of Voyager Tarot began.